A 150 year old farmhouse, restored to retain its original character, with beautiful panoramic views over olive groves and across the valley to the Parapanda mountain. The whitewashed house with low-beamed ceilings, nestles on a hillside, and enfolds you with a sense of tranquillity. Although fully modernised it avoids the sterility that can characterise recently renovated buildings, but has a den-like ambiance in which old - style interior fittings seem to merge organically with the walls and floor in traditional Andalucian fashion. 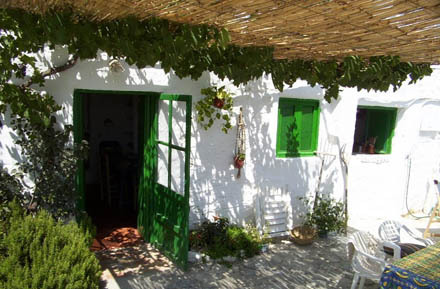 The accommodation consists of the farmhouse and a little adjoining house, each with its own secluded terrace. 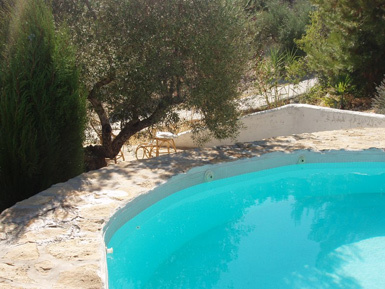 There is a charming pool set in natural stone, and a 'wild' garden with pomegranate, almond and olive trees. 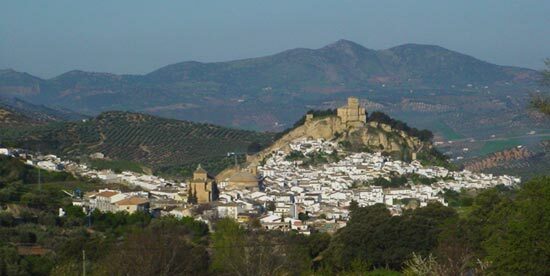 The small town of Montefrio is only 5 min drive from the house where you can find all you need for your stay, and the magnificent city of Granada only 45km away. three self-contained units, each with its own kitchen, bathroom and private terrace. Cost: 300- 1100 Euros per week depending on the time of year and amount of rooms needed. Author Helen Walsh, of 'Brass' fame, describes the Farm of Seven Olive Trees in "Where I'd rather be...", The Guardian , 24th September 2005. 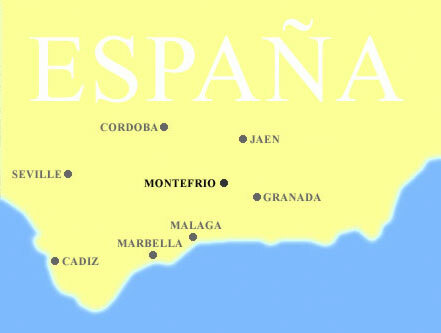 She says " It clings to the flank of a jagged mountain and looks down into a sprawling expanse of olive and almond groves. There's no TV, no telephone and, come nightfall, you can hear the mountain winds rasping down the vent of the wood-burning fire in the sitting room. It really is magical." Click here for the full article . 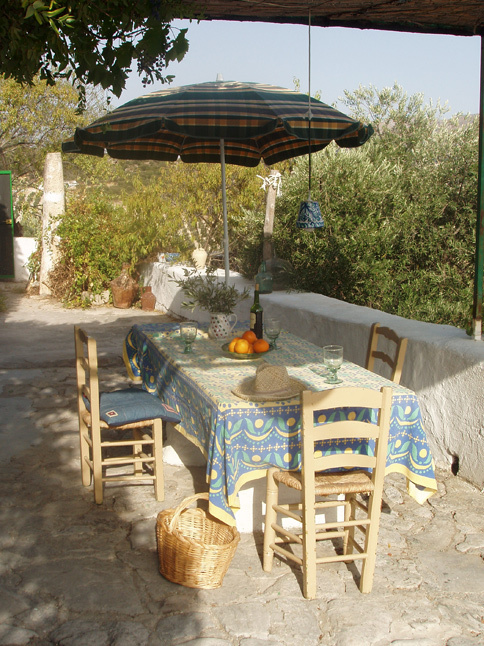 "We have enjoyed the charming house, it's surrounding landscape, and historically rich neighbouring cities and towns. We loved the fireplace and the house is very cosy making it the perfect home from home. An oasis from the busy city!" - Nina, Chris, and Mill from Amsterdam. "What a fantastic spot! A wonderfully relaxing casa that demands laziness in spades." - "The Cheltenham Brigade"
The cave houses of Guadix are a fascinating excursion , and the quieter stretch of coast west of Malaga and before Torremolinos is within easy reach, should you want a day at the beach.